A Perfect Circle is an American rock supergroup formed in 1999 by guitarist Billy Howerdel and Tool vocalist Maynard James Keenan. The original incarnation of the band also included Paz Lenchantin on bass, Troy Van Leeuwen on guitar, and Tim Alexander on drums. 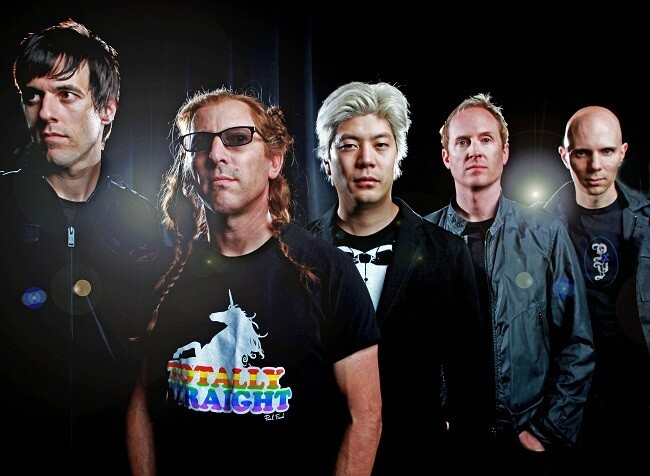 The latest lineup features Puscifer and Ashes Divide bassist Matt McJunkins, former guitarist for The Smashing Pumpkins, James Iha; and session drummer Josh Freese, who is best known for his work with Nine Inch Nails, Devo, and The Vandals. Despite having a varied cast since inception, the stylistic content of the songs has remained consistent with Howerdel as composer, and Keenan penning the lyrics and melodies. A Perfect Circle has released three albums: Mer de Noms, Thirteenth Step and eMOTIVe. A CD-DVD set, aMOTION, has also been released and contains thirteen music videos in addition to a number of song remixes created by Danny Lohner, Robert Del Naja and other artists. The band went into hiatus in 2004. Since then band members have worked on other projects; the most notable being Keenan's work on Tool's 2006 album 10,000 Days, and Howerdel's founding of the band Ashes Divide. In a September 2008 interview, Keenan announced that he and Howerdel have been working on new material, officially ending the group's hiatus. However, the band did not start to really become active until almost two years later, in September 2010, when the band announced touring and the release of new music which may or may not be in the form of a new album.